Kerry is a well-known psychic, clairvoyant, medium and crystal ball, coffee cup and tea leaf reader in Melbourne. Kerry has over 26 years’ experience. Kerry’s unique skills are a special gift, so she provides personal readings using the various deep focus and concentration methods at her disposal. Kerry is also well known for her crossings over. A crossing over is the ability to do mediumship in a group-based format, channelling messages to and from deceased friends and family (often known as the other side). 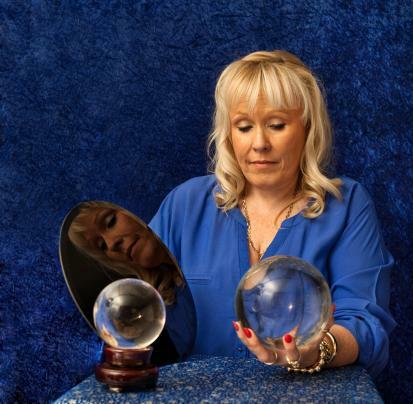 Kerry is very well known for her crystal ball readings and has an ability to interpret both the energy and voices she hears from external - often extra-sensory sources - to provide an insight into the lives of people she provides a service to.